Around 1985, Yu Suzuki stepped into his BMW and took a road trip that would change an entire industry. Suzuki was working for Japanese video game publisher SEGA. For two weeks, he cruised through Europe, visiting some of the most beautiful locations of the continent. His goal was not to arrive somewhere. It was to stay on the road, engage with traffic and look at other vehicles. It might seem an odd choice to pay an employee for driving around. In fact, driving was an essential part of Suzuki’s job description. What makes driving so much fun? Starting in Frankfurt am Main, Germany, Suzuki quickly turned South until he reached Monaco. The beach was beckoning, but he he steered clear of it. Instead, he visited the legendary F1 racing track, marvelling at it with the eyes of the little boy that had always been trouble for his parents, his teacher, his friends and even himself. It was in Monaco, too, that he made an observation that would mark a first breakthrough for the project. Looking for suitable ‘lead cars’ for the game he was developing, a Ferrari Testarossa suddenly caught his eye. The vehicle had only just been released and Suzuki instantly fell in love with it. This, he decided, was the car that every one dreamed of driving. This would be the ‘star’ of his new video game. Upon his return to Japan, filled with ideas and inspirations, Yu Suzuki gathered his team and began work on Out Run. The game would be considered one of the most legendary creations of the video game industry. It also turned out a standard against which all future games would be compared. It was a turning point for the industry in many respects. Out Run was one of the very first racing games that moved from the limited radius of a race track to the wide expanses of an ‘open world’ setting. Its superior graphics allowed you to not just get an abstract sensation of speed, but to actually dream yourself away into a different world, where all that mattered was the road ahead and the blonde by your side. In 2019, Out Run will celebrate its 45th birthday. The game has aged remarkably well and is still a lot of fun to play. At the same time, other franchises have overtaken it in popularity. Today, it has become part of a long line of releases that have made car racing one of the most fascinating and continually inspiring parts of the video game industry. It is generally assumed that car games are an effort of translating the thrill of racing to a gaming console. Certainly, for the first decades, this was the main goal of developers. Their effort of pushing the envelope in terms of graphics, sound and gameplay have created software that almost doesn’t feel like a simulation anymore, but more like a perfect illusion. Over time, however, the inspirational process has started to run in both directions. Video games about racing have developed a unique charm and aesthetic, that some car designers seem to have picked up. And it goes without saying that these games can build a fascination for cars at an age when many players are not yet legally allowed to drive. With all of this in mind, it is about time to take a look back at the birth and evolution of the car racing genre Out Run was so instrumental in pushing forward: a genre that has captivated the imagination of gamers worldwide and continues to do so. It is a story that deserves to be told in full. If we want to start a the beginning, therefore, we need to go back in time a lot further than Out Run. By the time SEGA had sent Yu Suzuki to Europe, the era of the video game had already enjoyed an almost uninterrupted decade of growth. Starting in 1972, with the introduction of Pong, video games truly became a phenomenon of their own. The creation of American software giant Atari, Pong consoles were a runaway success. The game opened up a market that many still considered a side thought for gamblers or a passtime for drunks. From its rather seedy early image, video games turned into a multi billion dollar industry. Its yearly revenue would dwarf those of the music and movie industry. Car racing video games were one of its most important sub genres right from the very start. Only a year after Pong had drawn the attention of developers worldwide, Atari followed this up wiith Gran Trak 10, arguably the first ever true racing video game. The concept was as simple as it was ingenious: using a steering wheel, users drove a pixelised car through a maze, trying to avoid collisions with the borders. Gran Trak was popular, but it almost ruined Atari. Thanks to an accounting mistake, they were selling the game well below its production cost and losing money on each sale. The mistake may have ended up benefiting the company in the end, however. Atari was literally forced to come up with even more innovative concepts for new games or face insolvency. Roughly until the mid 80s, the genre was marked by a hard fought competition between Atari and its Japanese rivals. Within just a few years, both sides had moved from primitive, ultra minimalistic graphics to increasingly realistic racing simulations. Although Pong marks the beginning of the age of the video game, there had been precursors. The story starts as early as the 1950s, in fact. Both in the USA and Japan, game corners or arcades – spaces filled to the brim with a wide array of single and multiplayer games – had turned from a niche into a craze. Typical examples of the kind of machines to be found here included “rocking horses, bagatelle boards, simple novelty games, and target shooting games” as well as “larger pinball and slot machines”. As expert website shmuplations explains, “these were installed in small spaces inside department stores, amusement centers, and movie theatres.” One of the earliest and most influential examples of one of these games was Mini Drive, an electro–mechancial car racing game introduced to the Japanese market in 1959. The racing track of Mini Drive was on a physical conveyor belt. The goal of the game was to speed along the track while avoiding crashing into competing vehicles. In a nutshell, this was a concept which essentially sums up the course the industry would take for the next decades. The company which produced it, Kasco, would continually raise its profile, making use of the most current technology to push game parlour projects to their limits. Inspired by the restless mind of its president Kenzou Furukawa, Kasco turned into a giant worldwide. One of the technologies that Kasco used extensively was rear projection. Even today, the otherworldly glow of these images, which seemed to come from a different world, is still captivating. Technically, this was an important step forwards. Rear projection did not yet free the game from the restraints and limitations of mechanical parts. It did, however, allow for a far more varied gameplay and, thus, more excitement. Combined with the higher speeds these consoles were capable of, they set a new bar in the game parlour industry. This becomes instantly clear if you compare some of the early rear projection car racing games, Indy 500 and Grand Prix, which Kasco introduced to the market in the late 1960s, to Mini Drive. There are Youtube videos demonstrating the gameplay. Although it is obviously extremely primitive, you can sense why this game was such a success. Mini Drive is fast and nerve-wrecking, loud and engaging, requiring almost super natural reflexes at times. It is easy to see how these games could become addictive and, thus, far more successful than any mechanical car race simulation ever could be. Grand Prix sold 2,000 consoles in Japan and a staggering 10,000 consoles in the USA. These were breathtaking numbers in their days. Clearly, there was a potential that was waiting to be tapped into. Japan may have seemed to be leading the way for the early days of the car racing game industry. But in reality, both sides were observing and copying each other incessantly during these fast moving days. In 1973, the pendulum swung back towards the States again. The aforementioned Gran Trak 10 was an important stepping stone. Just like Pong before it, the concept no longer involved any moving parts. The world of Gran Trak was entirely virtual and surreal, a glowing track embedded into complete virtual darkness. Although it had desperately little variation, the game required intense concentration to avoid touching the outer limits of the racing track and using the steering wheel felt surprisingly like handling a real car. Although consoles have become coveted collector’s items and fetch high prices on the second hand market, the fun part of the product means that few of them end up in museums. Most are actually still in use. Atari remained top of the league until the late 70s. They came up with new consoles at least once a year. In 1975, they published Hi-Way, a quietly influential game. Although it did not quite spark the enthusiastic response as some of its predecessors, Hi-Way was influential in one important regard: It introduced the recognisable scrolling highway. It would not just come to define Atari, which patented the technology, but turn into a standard for the entire industry. Gran Trak 20 and Indy 800, meanwhile, were among the first consoles to offer multiplayer gameplay. Indy 800 even allowed up to eight players to compete against each other – a harbinger of the gigantic online battles fought today. 1976 and 1977 were important years for Atari. The former saw the release of Night Driver. The latter of Atari’s own Indy 500 (which bore no relation to Kasco’s earlier title by the same name). Night Driver still today enjoys a status as a classic. The screen showed nothing but two parallel lines of white dots, the space in between them marking the road. The sole goal was to keep your imagined vehicle – which was not actually visible on the screen – within these limits. Shepperd’s solution was both astounding and underwhelming. Even at this early stage of the industry, Night Driver was a visually simple game. It was, in fact, ostensibly a step back, even from the rather crude Hi Way a year earlier. In some ways, it felt closer to the reduced graphics of Pong. What Night Driver did, however, bring to the table, were two essential aspects. For one, it had a deep and mesmerising mood, which was ironically reinforced by the sparse imagery. While you were playing, all that you could see were the sides of the road, illuminated by your headlights. Everything else was pitch black. Nothing felt closer to the sensation of navigating a car through the middle of the night than this. Secondly, Night Driver put you in the driving seat, in the first person perspective as it were. Earlier games had mostly been bird’s view looks at a racing track. The switch in perspective made this game even more personal and raised adrenalin levels. Things felt as though they were actually happening to you! Night Driver has retained its status as a classic. A somewhat sad proof of this is how Atari recently used the famous name to introduce a lacklustre mobile game already described as ‘boring and unweildy’. Indy 500 was a more traditional game very much in the style of Gran Trak. The main difference in terms of concept was that there were different courses – a total of 16 – that provided for more variation. It also included a multiplayer mode that made it possible to compete against your friends. The real historical relevance of this title, however, consists in the fact that it was one of the launch titles included with the original 2600 system. Sales of the console were modest at first. But it gradually won over consumers with an expanding range of exclusive titles. In the end, it turned into one of the most iconic pieces of home technology of the 80s. Just as ironically, it would later also pave the way for Atari’s downfall, as faltering sales and excessive license fees sent the company’s fortunes tumbling. Indy 500 may not have been the most innovative or unique game ever written. However, it did port the experience of the arcade to the homes of millions of households. Thereby, it laid the groundwork for the video game revolution which Japanese enterprises like Nintendo and Sony would later so successfully exploit. It is hard to imagine today just why this transition was so important. But imagine this: Kasco’s eponymous Indy 500 console, a far cruder racing game, cost $8.000 to produce at the time. Its costs were higher than a real Toyota Corolla! This put a natural limit to the growth of the industry. After all, only few arcade owners could afford to spend this much on a video game. The Atari 2600 significantly reduced these costs, passing them on to consumers. It was a brilliant move. After this, the sky was the limit. Also, thanks to improving technology, some games actually looked better on the 2600 than on the original arcade console – including the classic Night Driver. Between Indy 500 in 1977 and Pole Position in 1982, game developers mainly sought to improve existing concepts rather than coming up with sensational new ideas. One of the exceptions is the truly spectacular and often forgotten The Driver from 1979. As developers were expanding their catalogues, they made use of cross-fertilisations between different brands and genres. Namco’s Rally-X, for example, a fun-style driving game in a maze-environment, was essentially a rebranded version of its runaway smash hit Pac Man. Importantly, the late 70s saw the emergence of another giant of the video game market: SEGA. Just like Atari and most of the other video game companies, SEGA had started in the game parlour business. It had been producing increasingly complex consoles, but moved to the home market at the beginning of the 80s. Video racing was part of its strategy right from the very beginning. In 1979, SEGA released Grand Prix, and instantly won over the hearts of game lovers. Released only two years after its American rival Indy 500, SEGA’s release felt like a quantum leap. You can compare it to going from riding on horseback to rocket technology. 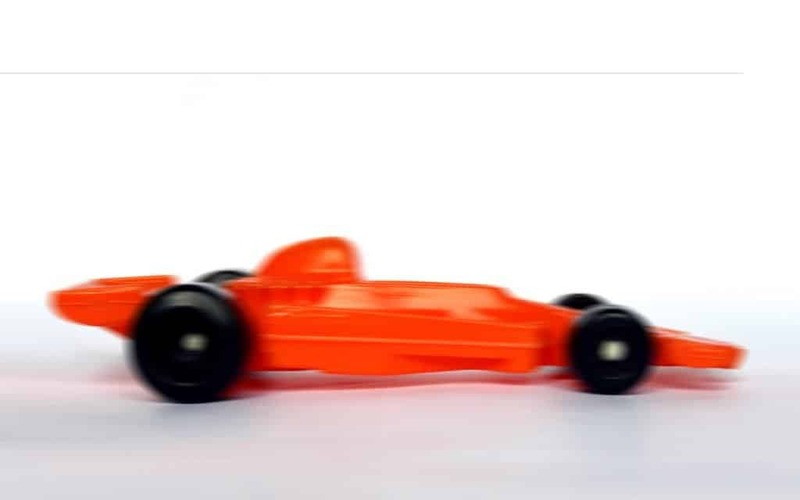 Grand Prix was extremely fast and raised the suspense to almost frantic levels, with competing cars swerving unpredictably from left to right, blocking the player’s path. Turbo, SEGA’s second car racing game, upped the ante even more. All too often forgotten in historical compilations, the design of the game would soon turn into a defacto standard. For many years, all the video game industry could do was copy Turbo’s basic layout and gradually improve its gameplay. That may not sound like a particularly impressive achievement on paper. In practise, however, it led to the creation of some of the most memorable games of all times. In fact, the time between the release of Monaco GP and the year1983 is sometimes reverentially referred to as the ‘golden age of arcade video games’, a time when the industry developed an unparallelled creativity in terms of game concepts and technological progress. Almost every single sub-genre of video games was pioneered in this era. All the industry had to do after that was to repeat the formula and polish it to perfection. One of the most influential games of this golden era was Pole Position developed by Pac Man mastermind Toru Iwatani for Namco. The game, distributed in the USA by Atari, took many elements of what made Turbo such a great and addictive proposition and combined them with the sensation of real Formula 1 racing. Pole Position has taken a lot of the credit which should really have gone to SEGA, such as the introduction of the first person view from behind the car. Its impact was so huge that companies were booking in-game ads and there was even an animated TV series named after it. With the eyes of today, it may seem a little surprising just how mindblowing this game was upon its introduction. but in 1982, people actually considered the level of realism in this game unprecedented. The other reason was that, unlike any game before it, Pole Position did not take place in an imaginary, artificially designed world. It actually followed the trajectory of the famous Fuji Speedway. It also included a qualifying round, which determined your starting position for the actual race. These were baby steps. Yet they were vitally important in creating another level of realism that turned it into something more than just a game. Although Pole Position was by no means photorealistic, it did spawn the idea of the video game as a simulation of the real driving experience, which would come to inspire developers until the present day. Suddenly, the industry was moving at an astounding pace. When Namco introduced Pole Position II just a year later, essentially leaving the gameplay intact but adding three more race tracks, the competition had already passed it by. In 1983, Pitstop added, as the title suggests, pit stops to the equation. This did slow the action down a little bit, but in turn added strategic elements. The same year, TX-1 added more realistic driving characteristics, which forced you to brake before corners or shift gears at opportune moments. More and more, it seemed, things were moving towards a critical point. That critical point arrived in 1984. Up until this point, video games had been just that – games. They were conceptualised and realised by nerds and IT fanatics in their garages during countless hours of coding and night shifts fueled by too much pizza and softdrinks. Their main goal was to entertain, the standard by which to measure their efficacy and quality was the level of fun they brought to the table. When George Crammond entered the industry, however, all that was about to change. Crammond was a former defence industry systems engineer with a degree in physics and had no prior affiliation neither to video games nor to cars. This made his perspective unique among game developers, when he would later make programming his new job and car video racing games his personal speciality. When he stumbled upon Pole Position shortly after its publication, he was one of the very few not to be impressed with it: “A bend seemed like a distorted straight rather than something you actually arrived at,” he remembered in an insightful interview several years later. Ironically, Crammond’s lack of video game references was one of his strongest assets, when Acornsoft approached him to design a Formula 3 racing game. Acornsoft were working closely together with racing driver David Hunt and therefore had access to hands-on experience from one of the best F3 sportsmen of his generation. What they wanted was the real thing, not another screen filled with colourful dots racing on pixelly circuits. Crammond seemed to be the right person to give them just that. He was also more than willing to put in the necessary hours – a prerequisite for the kind if pioneering work he was about to engage in. The Hunt connection meant that Crammond could now use the facilities of the legendary Silversone racing track. This provided him with many invaluable insights, when David invited him to join him on a test drive. Due to the time- and resources intensive process of gathering these data, REVS would only feature the Silverstone circuit. But its revolutionary accuracy and gameplay ensured its place as an instant classic nonetheless. Crammond would go on to display his formidable talent in a variety of other racing titles, including the Grand Prix series as well as Stunt Car Racer, which gathered a cult following. But REVS would remain his most incisive statement. In fact, one can argue that REVS created a separation in the family tree of car racing video games. Henceforth, one line of releases would follow in the footsteps of Crammond and try to create the most realistic racing environment possible. This distinct genre is usually referred to as ‘simulation’. It has become as much the object of admiration as it has been ridiculed. They can put you in entirely unpredictable and wild situations. They allow you to compete against the best of the best in Formula 1 racing. A simulation makes it possible for you to drive on mountain passes at insane speeds. It allows you to try superhuman stunts without the risk of injury. At their least suspenseful, simulations had a meditative quality about them. The digital environment of mid-80s games were minimal landscapes of lines and dots, warm primary colours and a comforting lack of details. Playing these games felt a bit like looking into the flame of a candle for a few hours, constantly changing, yet always staying the same. At their most tense, however, they made you feel the pressure and rush of a real race as though you were physically present. Just how far developers were able to take the latter becomes abundantly clear if you take a look at renderings of current car racing video games like Gran Turismo and Forza, which are all but indistinguishable from live camera footage. After REVS had set the bar high, many games over the next few years varied its concept, adding new features and slightly different gameplays. Turbo Esprit from 1986 (full official name: Lotus Esprit Turbo Challenge) was one of the most interesting post-REVS simulations. Even car manufacturer Lotus was impressed with it. They eventually awarded it official license status. The main difference between Turbo Esprit and REVS was not so much that the former had superior graphics (it didn’t). Rather, Turbo Esprit put drivers in an open world rather than on a racing track. This allowed you to take wrong turns and explore side alleys. All of this helped to expand the universe of the game and make it feel more real, the sober graphics notwithstanding. Just a year later, Accolade countered with Test Drive, another iconic 80s game. Test Drive significantly improved on the visual side of its predecessors, even though the blocky graphics are still a far shot from today’s photorealistic car video games. It also offered a superior sound and five of the most desirable cars on the planet. The first instalment was still a fairly sober affair. You mainly took your dream car for a spin for endless miles, while trying to avoid other traffic participants. Test Drive II, however, turned the series into a classic. Subtitled ‘The Duel’, it pitted you against computer controlled opponents. This turned the game from a well-done simulation into a far more adrenaline-pumping race. Test Drive would remain a defacto standard well into the 90s. Sadly, Accolade’s subsequent, far too numerous and generic followups failed to even remotely stir the same excitement. Eventually, the brand was bought up, brought up to current standards and, to much surprise, yielded a few satisfying new chapters in the Autumn of its product cycle. The same year that Test Drive II hit the shelves also marked the entry of Indianapolis 500. This was the third car racing video game to feature this title and another pivotal point in industry history. The designers behind this game went by the name of Papyrus. Contrary to other publishers interested in building a diverse portfolio of different genres, all these guys cared about was racing games. This unique dedication turned a small group of programmers into one of the most influential outfits of the post-classic era of the video game industry. Papyrus was run by David Kaemmer. Kaemmer had been a motorsport enthusiast since his early childhood. As a little boy, he preferred to spend hot Summer days inside his father’s car listening to radio coverage of a car race rather than going outside with the rest of the family to enjoy a picnic. When Electronic Arts offered him the chance to program a car simulation, he was instantly hooked. The main challenge for Indianapolis 500 was to achieve perfect physical precision using the poor performance of even the very best home PCs. At the time Papyrus was founded, game consoles were at a historical low, after several of the pioneering systems had been discontinued. The Playstation was still five years away. This made it hard to achieve Kaemmer’s goal of including a full field of 33 cars to mirror the exact same conditions of the real Indianapolis race. Next to the physics, the game also set high standards in terms of configuration. Essentially, you could tune and change cars according to your desires. And these changes truly made a difference in the way the car behaved on the track. Some reviewers classed the game into a category of its own – hyper-realism. This sounds about right with regards to the unprecedented level of detail present in these games. And yet, Kaemmer’s mission was anything but finished. In 1994, Papyrus released Nascar Racing, the brand that would cement its position as one of the leaders of the car video racing game establishment. Taken together the first two instalments of what would become a series running for a full decade, would sell two million copies. They turned Papyrus into a million Dollar business. It deserved the success. Unlike any other game before it, Nascar Racing proved that a simulation, taken to its logical extremes, was anything but a bone-dry affair. In fact, it could be the absolute epitome of speed, power and adrenaline. The graphics were still anything but perfect. But the level achieved at this time was good enough to raise your pulse considerably. The sound, too, was deep and penetrating, physically aggressive and assaulting. Everything about the game screamed realism, if only for the fact that it took the same time to complete as the actual physical nascar races. But there was more. Nascar Racing was unique in its capacity to model damage. Over the course of each race, your car would accumulate a variety of issues, gradually making it run less efficiently and safely. Pitstops were thus a necessary requirement for finishing the game. After the Nascar license was sold to a competitor, Kaemmer was all but forced to sell Papyrus. But he would come back with possibly the most advanced racing simulation ever invented. We’ll get back to that story towards the end of this article. From Nascar Racing onward, the industry entered a phase of slower innovation. The 90s produced only two more important simulation titles. Since then, a handful of developers have dominated the genre. And they have mainly refined their vision instead of coming up with new ones. One of them, F1, would turn into the possibly most dedicated car racing video game franchise ever. It focused almost obsessively on Formula 1 racing. The other important simulation series originating in the 90s was Gran Turismo. It set a new standard for the genre in many respects and would turn into the most profitable Playstation game for the first console. We’ll cover Gran Turismo in a bit, when talking about 1997, another year that would change the car racing video game industry forever. For now, however, let’s take a few steps back and return to 1984. This was the year that REVS caused a rift in people’s perception of car racing games. 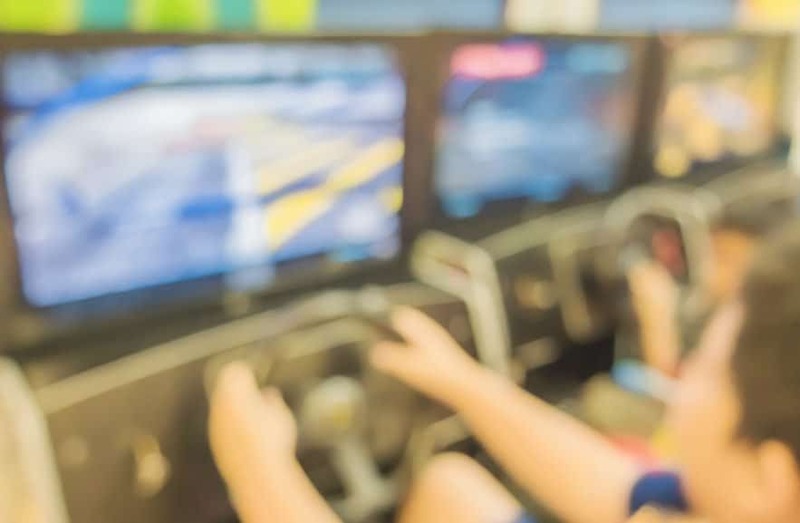 The more precise and realistic simulations became, the more some gamers were becoming disillusioned with the entire concept of car racing video games. For a generation that had come to love the sheer thrill of Pole Position and Turbo or just the good plain fun of the early Atari titles, games like Nascar Racing seemed awfully pedantic and dry. Almost like a punk reaction to these developments, some developers began to consciously move away from perfection. Instead, they turned towards fantasy worlds and playful concepts. If some of these games drew ironic comments from more ‘serious’ gamers at first, their breathtaking success quickly silenced the critics. Ever since their introduction, these so-called kart racing games have outsold more realistic simulations almost every single year. Buggy Boy on the legendary C64 was a first taste of what was to come. This game combined a pole position type racing format with jump and run elements like collecting bonus points and avoiding boulders. Mad Crasher took the concept and ran with it into the future. Vehicle resembled the flying cars of movies like Blade Runner and came equipped with a laser gun. It would take a few more years, however, and the genius of Nintendo, to elevate this game format to a new level. Super Mario Kart saw the light of day in 1992 and turned into an overnight sensation. It is perhaps unfair to even compare Mario Kart to simulation titles. But one thing’s for sure: This, it seemed, was the game that millions of people had been waiting for for years. Super Mario Kart didn’t reinvent the wheel. It did, in fact, look very much like an improved version of Buggy Boy. But Nintendo had a decisive advantage over its 80s predecessor: The computing power of the Super Nintendo Entertainment System. This significantly benefited the gameplay. A vital part of its appeal were the speed of the game, the sheer inventiveness of the fantasy elements and the numerous features, which allow players to gather additional ‘super powers’. Some of the latter can possibly be traced back to another pre-kart-style game of the late 80s: RC-Pro-Am. It made a big point of integrating weapons into its cars. By combining some of the best ideas from all of these games and moulding them into a superior gameplay, Super Mario Kart turned racing games into the ultimate family pleasure. Over the course of its many iterations and across all platforms, Super Mario Kart has sold in excess of 100 million copies. It has also repeatedly been voted the best video game ever. The third major branch of the car racing empire essentially represents a fusion of the worlds of physically modelled simulations and fantasy style kart games. It also brings us back to Yu Suzuki and his trip through Europe, which proved to be so utterly influential for the car racing video game industry. Suzuli’s path to the video game industry had been an unusual one. Whereas many of his colleagues at SEGA were enthusiastic gamers, Suzuki hardly ever played. He’d been a wild kid at school, getting into fights and causing trouble. 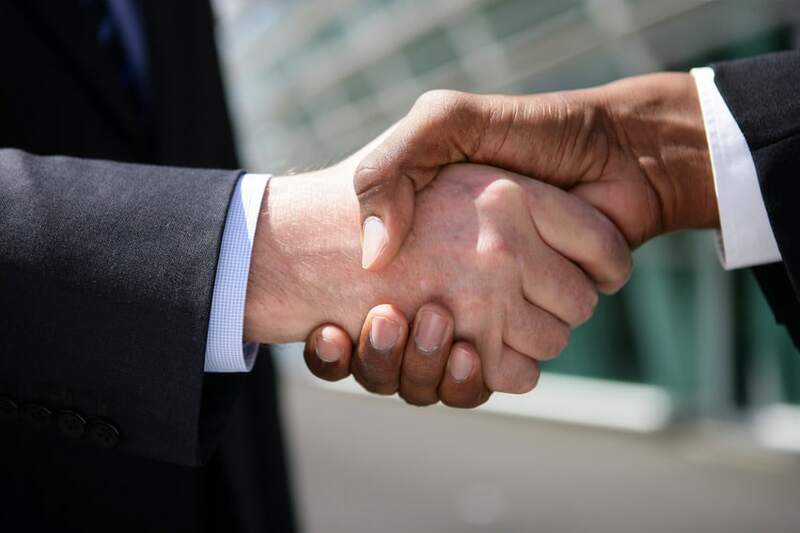 His main reason for applying with the company had been that they offered two days off per week, not just one, as was usually still the case in Japan at the time. But after he’d joined the company in 1983, he quickly discovered the fascination of his new job. According to Suzuki, while developing the gameplay, they kept the elegant movements of GP 500 driver Freddie Spencer in mind. The graphics of Hang-On are merely okay by today’s standards. Still, some of the fluency and smoothness of Spencer’s motions can indeed be detected in the way the animated driver leans into curves and then returns into the upright position. Hang-On was a game firmly in the arcade tradition. One of the reasons it turned out to be such an overwhelming success is that its console was a fully-fledged motor bike. It could tilt to the left and the right and featured an ear-shattering, larger than life motorcycle sound. Suzuki worried the notoriously shy Japanese might feel embarrassed making a spectacle of themselves in public and avoid the console. Contrary to everyone’s expectations, there were long queues of people wanting to give it a try. One can only wonder what the impact of Hang-On would have been had Suzuki been given the green light for some of his more radical ideas: Fans to blow wind into the player’s face, a device to make the bike vibrate and even attaching a real engine to the console. All of these suggestions were eventually dropped. Either because they were too expensive, too dangerous or impossible to properly realise. Hang-On was a fantastic racing project to demonstrate Suzuki’s unique vision. He was hungry for an experience that felt real, yet he did not think that a game could ever replace actual physical driving. His creations mimic the rules of physics. But they are perfectly happy to defy them, if required. Most importantly, enjoyment took a priority over realism. This philosophy translated into some of the most engaging and beloved games of all times. And they would come together perfectly for the next project which SEGA presented him with: Out Run, a car racing video game like no other before it. After the success of Hang-On, SEGA had high hopes for Suzuki to do the same for car racing as he had done for motorcycles. Turbo had been a critical success for the company, but it has never quite lived up to its potential. What’s more, the creative process had been a disaster. The entire project was beset by problems and tragedies. The schedule for Turbo had been so gruelling that designer and coder Steve Hanawa had to be hospitalised after completion due to excessive stress and exhaustion. And when Atari wanted to port the game to its 2600 console to give sales another massive boost, its lead programmer was ironically involved in a driving accident. The port never happened. For Out Run, SEGA were determined to do things differently and take more time. This was part of the reason why they sent Suzuki on his two week tour through Europe. But of course, the journey was research, too. George Crammond had driven around Silverstone and collected data to arrive at the most physically exact racing simulation. Just like him, Suzuki was now to cruise through Europe to understand just what made driving so much fun. Suzuki semi-jokingly complained about the tiny trunk of his BMW, which fitted little more than a few spare clothes and his tooth brush. But when he returned to Japan, he had brought all that he needed. Quickly, he set about writing the game that would change the course of the video game industry. There are three reasons why Out Run would turn into such a huge success. For one, its goal was to create a ‘feeling of superiority’. It was a game which allowed you to ‘just enjoy driving’. This is why Suzuki opted for the Ferrari Testarossa as the game’s lead vehicle. To him, it embodied the very spirit of pleasure. It also helped that the Testarossa was so far out of reach for the average consumer that it was truly a ‘dream car’. Secondly, it was one of the first games to feature a dedicated in game sound track. The music was composed by Hiroshi Kawaguchi. Its dreamy combination of jazzy grooves and sunny harmonies supported the laid-back feeling of the experience. Finally, Out Run avoided the closed circuit of a racing track and moved the action to the open road. Instead of running circles like a mouse on a wheel, you were suddenly driving past palm trees and beaches filled with colourful surfboards, through stone tunnels and towards mountains glowing in the early evening light. Playing Out Run was not just a high speed game which probed your reflexes. It was truly a journey. Behind each bend, there’d be a new surprise. If gaming is all about escapism, then Out Run is the perfect embodiment of that philosophy, a true vacation for the mind. Yu Suzuki would continue to write important video games for SEGA. These included one of the most beautiful homages to driving culture in general and Italian design in particular, F355. With Out Run, however, he had left his biggest mark and created the open world concept that so many games would emulate. Need for Speed remains the most successful embodiment of this pleasure principle in the wake of Out Run until today. Its open worlds are invitations to explore and engage. Over the course of almost 20 iterations, Need for Speed has tried out different formats. Some of them have included explicit story lines. Others have focused on a purist racing approach. It is also one of the very few racing games that has translated acceptably well to portable gaming consoles such as the PSP and the Nintendo DS. For anyone who wants to enjoy the superior feeling of Suzuki’s Out Run within a visually more advanced setting, there is no way around these games. Need for Speed was almost without competition for three years. Perhaps with the exception of Daytona USA, a ferocious blend of simulation and arcade style racing game, which had a similar feeling. Things changed in 1997, possibly the single most important year in the history of car racing video games after the end of the golden age of video gaming. Within just 12 months, two franchises entered the market. They would redefine car racing and who set standards still in use today. They would also usher in a new age for the genre, which saw games becoming more complex and challenging, more realistic and impressive in every single regard. Not insignificantly, they were also more profitable than any games before or after them. None of this would have been possible without a decisive development which had taken place in the background: The return and mainstream breakthrough of the gaming console. When Atari had introduced the 2600, in 1977, it still felt alien to most consumers. It took years for the 2600 to gain substantial sales. After two misguided attempts at licensing arcade hits like Pac Man to the console, the ensuing financial problems eventually ruined the company. Rival systems came and went, but few companies were willing to take a gamble on the hardware side of things. The reason was that they were facing stiff competition. As home computers were gradually becoming more popular, there were increasingly fewer reasons to invest into yet another expensive technological device. This was especially so since computers like the Commodore 64 offered excellent gameplay and even arguably superior sound, making consoles seem superfluous. The one company that kept believing in the console was Nintendo. Even through the hard years, it clearly saw the benefits of a dedicated gaming system: More computational power resulting in a more fluent gameplay, less lags and more speed. Its cartridges were also more robust than the floppy disks used by home PCs and far less likely to lose data. Nintendo believed that consoles still offered a great business model. 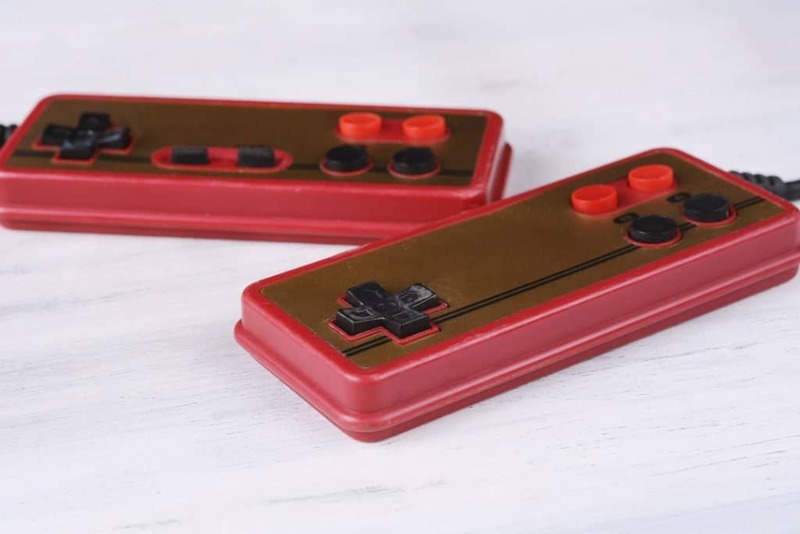 The sole precondition: Convincing customers to take the plunge and invest in the hardware: Cartridges were next to impossible to pirate and had a higher profitability. And since the gameplay on a great console was so much better than on comparable PCs, they turned hobby gamers into devoted fans. Although Nintendo would take a long time before achieving a breakthrough overseas, they could rely on a passionate home market to provide it with the financial cushion it required to spread its gospel. By 1994, Sony entered the market with its Playstation. It is a move now widely credited with revolutionising the video game market. Technically superior to anything that had come before, it was mainly the psychology of this console which made it so popular. What the Playstation achieved was to significantly expand the target group for video games. Whereas Nintendo’s world was full of garish colours and cartoon characters and a fairytale feeling, the Playstation opened the genre up to darker moods, more aggressive gameplay and deeper storytelling. If the Nintendo was an alternative to board games or sports activities, the Playstation competed with the movies. In fact, some of the first game developers of this new generation were originally interested in becoming directors. It’s little wonder, then, that some of the biggest game franchises would soon feature orchestral soundtracks and voice overdubs by some of Hollywood’s finest actors. The history of the Playstation is paved with classics, including many car racing franchises. One of them stands out, however, if only for the fact that it would sell more copies than any other game developed for the console: Gran Turismo. The brainchild of Kaazunori Yamauchi, Gran Turismo was not a revolutionary game. Rather, it combined some of the most attractive features of previous games and made them better, combining them into a marvellous gameplay. Sony knew that the world Yamauchi had in mind was going to be expensive. 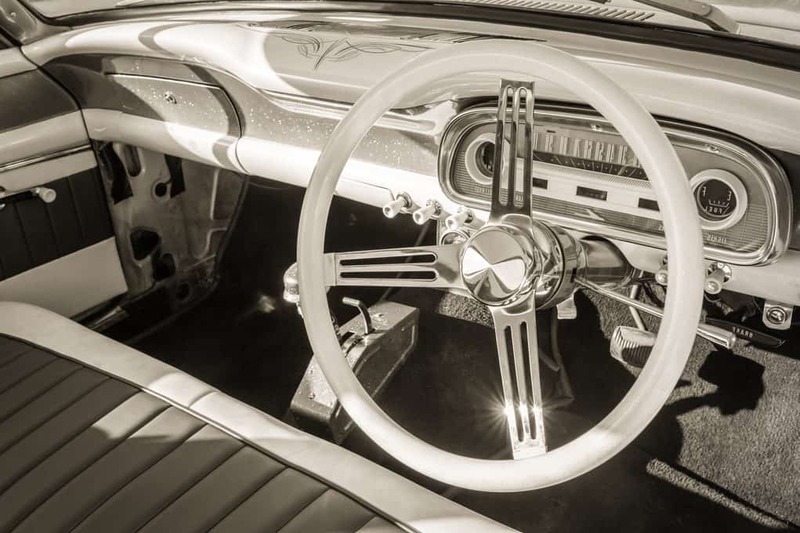 It required a large team and expensive licensing fees from car manufacturers and music publishers. It also meant that the team would have to push the visuals beyond anything deemed possible up to this point. Every member of the team would have to work at 200% of their abilities. So far, Need for Speed had set the bar for realistic open world racing. With GT, Sony wanted to create an even more realistic and immersive experience. Realising the intimidating scope of the project, Sony first asked Yamauchi to demonstrate his talents. He was to direct a far simpler game called Motor Toon Grand Prix. This was a kart concept in the vein of Super Mario Kart and Ridge Racer. Motor Toon would merely be published in Japan and was only a minor success. But it satisfied executives at Sony enough to take a chance on Gran Turismo. They were proven right. As of today, the six entries in the series have shifted a combined total of 80 million copies. Gran Turismo marked a new chapter in car racing, because it took every single parameter to the max. If gamers today occasionally feel as though there is nothing new under the sun anymore in the car racing department, then it’s because this game had something for everyone at the highest possible technical level. In a way, there is a GT formula. It includes working with professional racing drivers and precise physical modelling applications and to create a blend between arcade and simulation elements. Virtually every single racing game franchise developed after Gran Turismo has copied its basic elements and gameplay. In fact, most of today’s racing games looking virtually alike. Some of these competitors have by now arguably overtaken the original. One of the reasons is that Sony has defied the industry wide trend towards publishing new versions of the game each year. As Yamauchi has pointed out, developing the latest instalment of Gran Turismo took many years and involved a team of 200 members. And so, today, GT’s big rival Forza Motorsport may well have overtaken Gran Turismo as the leading car racing video game series. First published in 2005, the sole focus of the game was to offer a GT alternative on Microsoft’s Xbox. Soon, however, the franchise developed its own identity, with two parallel series of Motorsport and Horizon and a recognisable look. The other big car racing game that saw the light of day in 1997 was Grand Theft Auto. In many respects, this game was the last of the genre to truly offer a genuinely new game concept. In fact, GTA is not merely a car racing game, but heavily features elements of action adventures and first person shooters embedded into deep, complex story lines. It is hard to overestimate the impact this franchise has had. Over the course of twenty years and a total of five volumes, it has sold in excess of 250 million copies. More than a quarter of those were by the fifth instalment, which broke all entertainment industry records by generating a billion Dollars of revenue within a few days of going on sale. Considered the “most profitable entertainment product of all time” GTA has pushed the limits of what people thought possible for a video game, it has increased the depth of the virtual world to new dimensions and it has also, in a rather controversial move, raised the level of violence deemed acceptable by a mainstream audience. Even haters will agree that few series have had such a wide ranging impact on the entire industry as this one. Quite an astounding feat by a release which some condemned upon its first episode for delivering poor graphics and a slightly confused story line. Although GTA is not a car racing game per se, it was inspired by the genre. Vice versa, it has influenced car racing video games in one important way: GTA was one of the first games whose Artificial Intelligence felt ‘natural’ and real. This was of tremendous significance for car racing games as well. When we talk about racing video games, we often tend to focus almost entirely on the graphics, the sound and the features. 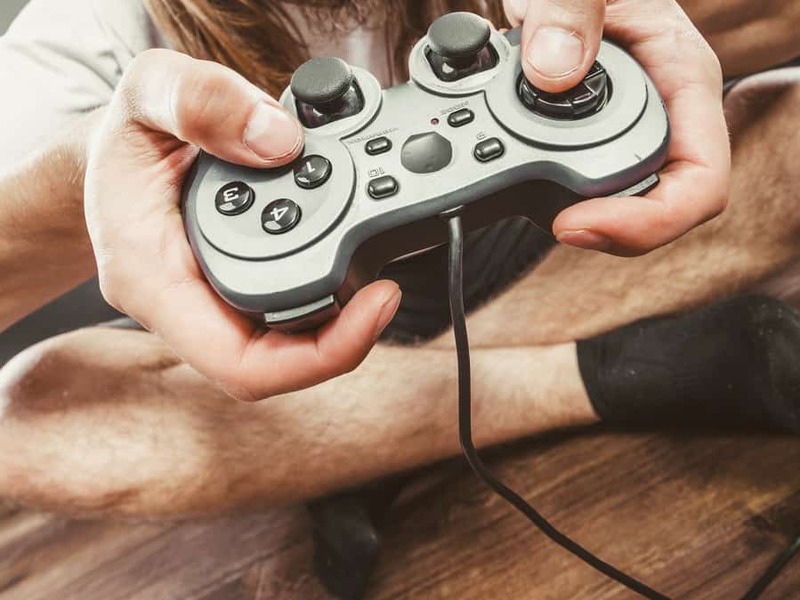 How much fun a game really is, however, depends decisively on the skills of the computer-controlled opponents. And it is here that Grand Theft Auto upped the ante like no other game before it. Potentially, the opponents controlled by the game’s AI could know everything there is to know and behave with absolute precision and speed. You can not beat an all-knowing, all-seeing and all-powerful intelligence. Clearly, for the game to work, there needs to be a trade-off: Make the opponents too weak and you’ll quickly get bored. Make them too proficient and you’ll eventually give up. Although the term AI is fairly recent, even the creators of the earliest racing games like Pole Position or Turbo Esprit were aware of this. With these early games, this aspect was, however, not quite as urgent. These were not simulations, after all, and the fun of the game did not depend on a ‘realistic’ behaviour of your competitors. When Papyrus published Nascar Racing, on the other hand, AI suddenly became an all important factor: With 32 computer controlled cars on the circuit, the creative success of the game depended decisively on making them feel like true challengers with their own personality. Even some of the very best and most popular games of the 90s relied heavily on rubber banding. In some versions of Need for Speed, you could essentially be last for almost the entire game only to shoot through the ranks in the latter 10% of the race. To mitigate the problems of rubber banding, developers soon turned towards a new approach. 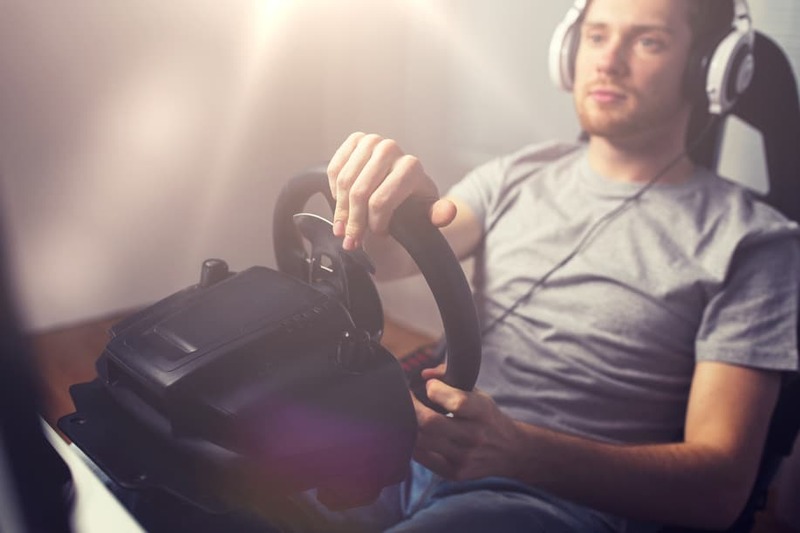 It is based on awarding each computer opponent a unique set of skills, similar to how there are extremely talented and slightly less proficient drivers in real life. For each skills category, each driver is awarded a number, with 0 describing the worst possible score and 10 the highest. Depending on how a driver performs on these sets of skills, she or he will perform differently in the race. In its ideal form, this should yield results comparable somewhat to a real race. Depending on how high the computer controlled opponents score, the difficulty level of the game rises. This adds another layer of control to the game developers. Undeniably, the skill-oriented approach ended up giving more realistic results than rubber banding. Unfortunately, it was usually even less fun. For the concept to work, the game would need to your skills – and then adapt its own difficulty level to that. This proved exceedingly hard, with even small deviations meaning that the game was either too easy or too challenging. You would either be racing ahead of everyone else for most of the time or far behind the pack. This form of ‘lonely racing’ had nothing of the excitement people wanted out of a racing game. More recent Ais are still based on skills, but combine these with a human ‘script’ of how the race is supposed to go. “It had to cover all possible scenarios, such as when the player’s skill is greater than the best AI, when it is lower than the worst AI, and at specific points somewhere in between,” as Jimenez explains. The word ‘script’ sounds as the he’s talking about a movie. But that’s not the idea here. Each game remains unique, with plenty of opportunities for what might be called ‘improvisation’. Rather, the script provides for a set of possible actions and developments within certain parameters which make it possible for each race to be unique and different, exciting and (reasonably) realistic. Scripting video games has improved gameplay considerably. If fun is the main goal of your game, then scripting seems like the way to go. If realism is your priority, then there are essentially only two options at your disposal. One is to improve the AI to the point where each driver is so complex as to convincingly mimic the behaviour of a human protagonist. Especially with the significant advances in computer technology, machine learning and computing power, this point doesn’t seem to be as far off as some might think. The second option is to concentrate on multiplayer games instead, where each contestant at a race is actually a human in the first place. In the 80s and 90s, this was not yet a viable solution, as the web was too slow and there were typically not enough players online for this to work. Today, meanwhile, it seems like a perfectly reasonable solution. Just log into your game, wait a few minutes for a race to begin and then enjoy the thrill of competing against a field of players with starkly different skill sets. This may sound like the future, but it is actually already the present. With iRacing, Dave Kaemmer of Papyrus fame has created the most realistic racing challenge ever. Essentially, the game relies heavily on the architecture of his famous Nascar games, and then embeds it into a gigantic world with multiple full-length races each and every day. The level of detail is staggering. You cab modify cars, tune and repair them in every way imaginable and they will react almost exactly like a real car in the race. Players can participate in entire seasons, making iRacing an extremely immersive experience – a game you can truly get lost in. With more than 74.000 subscribers, iRacing has proven the potential of this concept within a brutally exact simulation environment. Now imagine taking this idea and using it for a more popular and fun approach like Super Mario Kart. The possibilities and potentials seem endless. In an article for The Atlantic, Andrew Lawrence has spoken about his personal obsession for the game. He points out that one of the greatest things about iRacing is that many professional drivers are using it as a training tool and that you can therefore compete against the best of the best. Things have also worked the other way around, with incredibly talented iRacing drivers ending up on the real tracks. Where all of this is going is anything but clear. One thing’s for sure, though: The fascination of car racing video games still hasn’t faded – even as the industry enters its sixth decade.